Step into any club, pub, restaurant, or even local supermarket right now and if you look around you won’t be able to ignore the increasing number of bearded – and tatted – guys there, along with a proportionally increasing number of women eyeing them up and not always that subtle either. Thanks in part to this, the number of men ‘adorned’ in this way only seems to be increasing. You know what? It appears that there are actually real, scientific reasons why the women whose gaze tends to fall on the bearded dudes versus the clean shaven first do so. 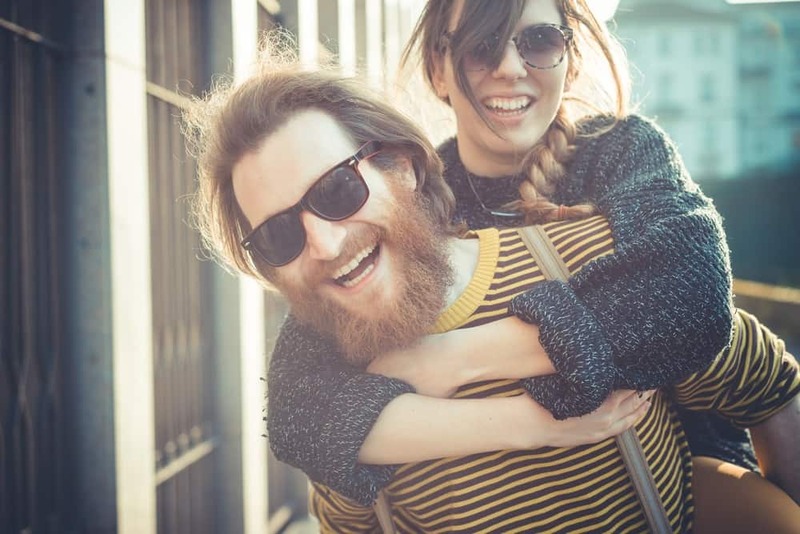 In fact, a whole study was undertaken by some very serious and well-respected researchers from the University of Western Australia into just why bearded men seem to have an advantage in the dating world right now and when the findings were published in the very seriously academic Journal of Evolution and Human Behavior they made for very interesting reading indeed. The researchers began their work by looking at over 150 specifies of non-human primates and what features and tactics they use to ‘stand out’ from the crowd. Almost across the board, they found that bodily ornamentation of some sort was involved, from striking red bottoms to ostentatious fur and markings. Especially in larger populations, the male primates who exist in them use flamboyant ‘markers’ to signal “identity, rank, dominance or attractiveness” to the females of their species. According to the study, this same principle can be seen in human men, especially at times when the ‘dating pool’ is especially competitive. And with 101 and more dating sites out there on the ‘Net, not to mention the Tinder craze, that is certainly the case at the moment, I mean, how much more competitive can it get? Two minutes, at most, to impress a girl is not very long. In order to get that right swipe, or something vaguely equivalent, guys need to stand out from the crowd, and what better way to do so than with a luxuriant beard, a striking tattoo or two and/or an interesting piercing? To quote from the study; “In large groups where individuals are surrounded by strangers, we need a quick, reliable tool to evaluate someone’s strength and quality, and that’s where these elaborate ornaments come in. And if you don’t quite believe your eyes science can document the rise of the beard, especially among millennials, rather neatly too. A recent Pew Research Center survey found that one in 4 millennial males sport some form of facial hair on a regular basis and about the same number have at least one tattoo on their person as well. A whopping 1 in 4 have a piercing located somewhere other than their lower earlobe – the traditional spot for such things – as well. Standing out in this way has never been so popular and for many dudes, so successful in terms of making a strong positive impression on the ladies. So the lesson to be learned here? If you haven’t already done so single dudes put your razors away, and make an appointment at the local tattoo parlor asap. Science says doing so will be to your advantage. Photos from: Gleb TV © 123RF.com and Eugenio Marongiu © 123RF.com. I personally enjoyed reading it.